Zettler Magnetics, a Zettler Group division, provides application-engineering, sales, distribution and customer service for a wide variety of top quality transformers and magnetics components. We cater to a broad spectrum of customers in diverse industries and across many applications. Zettler Magnetics Transformers include epoxy sealed power transformers, open frame, low profile, switching transformers and chokes, while toroids include current sensing, zero phase current sensor, current transformers, PFC chokes and large power line filter inductors. Zettler Magnetics has the design and manufacturing capability to provide custom designs for the most specialized applications. Our sales, marketing, technical support, quality control and customer service departments work closely with our team of experienced design engineers at our manufacturing plant to help define the needs of our customers, and to provide optimal technical solutions for the most demanding application requirements. 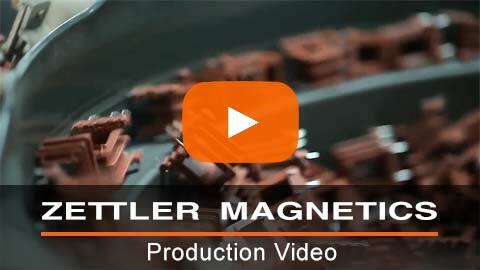 Zettler Magnetics engineering departments and manufacturing facilities, located in Xiamen , China, are fully vertically integrated and wholly owned.